Not-for-profit CPD provider Reasonable Cause has launched two new scholarships to support Cambodian students. Reasonable Cause recently announced that it will provide one university scholarship and one vocational training scholarship each year, beginning this year. The scholarships will support disadvantaged young Cambodians to pursue their career goals. Waew (pronounced ‘Wow’) is the 2017 recipient of the Reasonable Cause university scholarship. 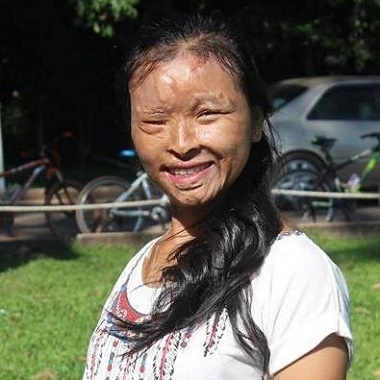 Waew is a young Cambodian woman who was badly burnt as a child. She will use the scholarship to study a Bachelor of International Relations in Phnom Penh, according to a statement from Reasonable Cause. Reasonable Cause is an informal network of CPD presenters and organisers, led by Forbes Chambers barrister Mark Dennis. One hundred per cent of the net profit from its CPD courses is donated to the charity organisation Sunrise Cambodia. Pictured: 2017 scholarship recipient Waew.